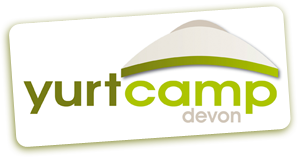 Yurtcamp provides a unique and beautiful setting in the heart of Devon for your wedding ceremony and reception. In early 2011 we became a licensed venue for wedding ceremonies enabling us to offer a full wedding package for up to a hundred and forty people. The ceremony itself is conducted in our special, thatched pavilion in front of which is seating for your guests. This has proved so popular that early booking is vital to avoid disappointment. We offer full catering services ranging from rustic campfire suppers to candlelit wedding receptions with a full catering service from cream teas to banquets with all the trimmings. 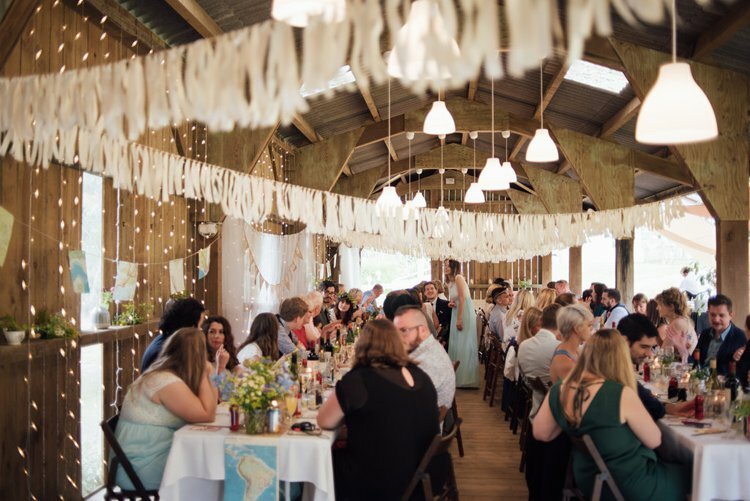 In addition to the fully licensed Café Bar and Wedding Pavilion, we also offer our Giant Tipi for your live bands / disco, Wedding Barn for your wedding breakfast, Bride and Bridesmaids Dressing Room, and hog roasting facilities. Guests are accommodated in our luxury yurts. Your big day is Your. Big. Day. You deserve the wedding of your dreams. 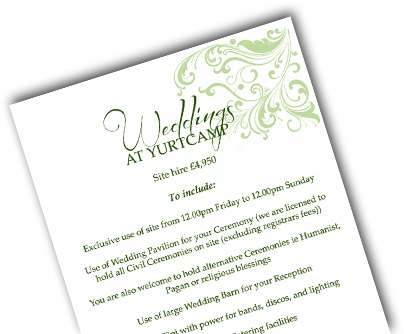 Whether you’re a traditional romantic or a bit of a free spirit we are sure you will fall in love with your Yurtcamp wedding.